(CBS News) A Georgia man was arrested last week for unlawfully practicing medicine in South Carolina, law enforcement officials said. Ernest Osei Addo, 48, was arrested on Aug. 24 at his Georgia home for allegedly providing medical services to as many as 500 patients at five Agape-owned senior centers in the South Carolina area from Feb. 15 through Aug. 22. The five facilities are the Agape Senior West Columbia, Agape Senior Kathwood, Agape Senior Harbison, Agape Senior Lexington and Agape Rehab West Columbia, the Lexington County Sheriff's Department said in a press release. "This individual came highly recommended from his previous employer where he practiced as a physician and provided necessary credentials," representatives for Agape said in an emailed statement to HealthPop. "Agape is shocked that someone would perpetuate such a fraud upon it and its patients." The company added that Addo never had sole clinical oversight over any one patient. It has notified all patients and residents of the matter. Addo allegedly took documents to assume the identity of a friend from Orangeburg, S.C., who was licensed to practice in the state, when he applied to be a physician for Agape Senior. Addo allegedly also used his friend's credit cards without permission. Detectives might file additional charges against Addo in connection with unlawfully prescribing medication and unlawfully receiving wages from Agape Senior, Lexington County Sheriff James R. Metts said in the release. 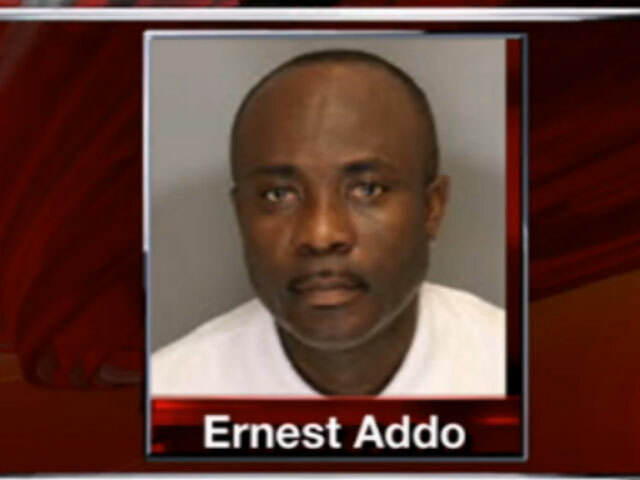 "We are obtaining the documents from the 500 patients he was involved with," Lexington County Sheriff James Metts told CBS affiliate WLTX in Columbia, S.C.
Addo reportedly also worked for the Mental Health department at an inpatient facility in Columbia, S.C., from September 2011 through January 2012, the Times and Democrat reported. The S.C. Department of Mental Health told the paper that it hasn't found any problems caused by Addo's care but they're working to see what steps they can take to prevent such occurrences in the future. "Since the individual apparently had stolen the identity of a physician in good standing, none of the documents reviewed presented an issue," the DMH told the paper. "Further, he was being presented by a contractor, which had already conducted its own credentialing review."